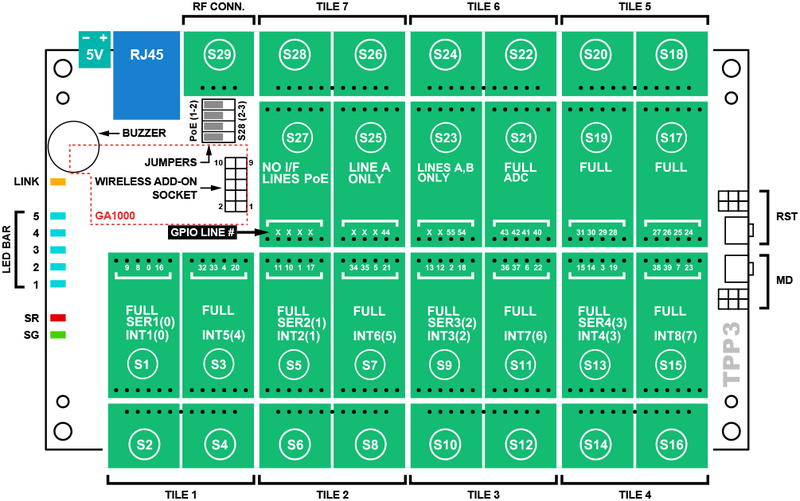 The TPP3(G2) board features 14 x "M" and (14+1) x "C" sockets. •"M" socket (S21) has the ADC capability. •"M" socket (S27) has the PoE capability, provided that four TPP2(G2) jumpers are set to 2-3 position (see below).